Venice Hotels Guide See Correr Museum on the interactive Map of veniceXplorer. 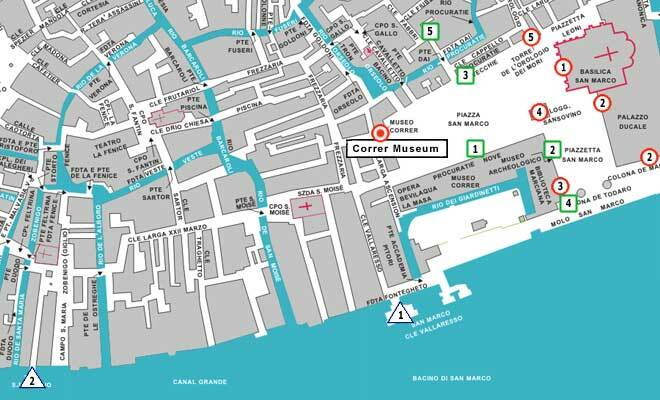 The Correr Museum takes its name from Teodoro Correr (1750-1830), a passionate art collector who was a member of an old family of the Venetian aristocracy. However, initially the collection was not on display to the public as an organic whole. 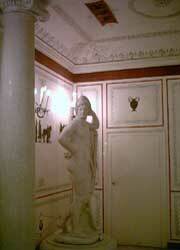 During the era of its third curator Vincenzo Lazari it became a proper museum. The Museum is laid out in various sections that offer a fascinating insight into the Art and History of Venice. The first section occupies the Napoleonic Wing itself, a nineteenth-century palace for kings and emperors. Here a noteworthy collection of works by the greatest sculptor of the age, Antonio Canova (1757-1822)can be seen. 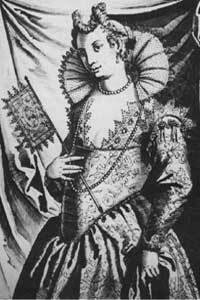 The second section is Procuratie Nuove, which were designed by the architect Vincenzo Scamozzi (1552-1616). 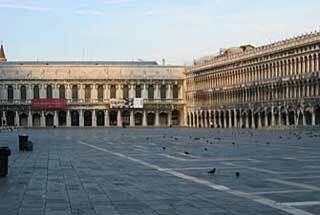 It was once housed some of the most important civic authorities within the Republic of Venice. The spacious rooms now contain collections that document various aspects of Venetian History – from daily life to public instutions, from naval achievements to local festivities. Beyond these rooms begins the exhibition of the Art Collection, which continues on the second floor. The period covered ranges from the very earliest days of Venetian painting right up to the sixteenth century, with many of the works on display being incomparable masterpieces. Correr Museum PDF printable Version.